History like that breeds familiarity with the land, and the knowledge that has accrued over all these centuries has resulted in the Burgundy that charms, tantalizes, and bewilders even its most ardent fans. In this regard, Burgundy is like the quintessential actress from the classic French films: A bit difficult to understand, perennially flirtatious, and ultimately unforgettable. 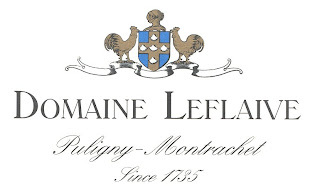 Last week, I was fortunate enough to be invited to a tasting of 2006 white Burgundies from Domaine Leflaive and Domaine Pierre Morey at Le Bernardin in New York. And, as I expected, I was not disappointed. 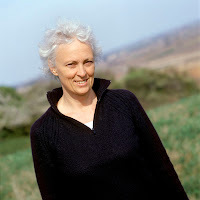 These are my tasting notes for Leflaive’s wines (that's Anne-Claude Leflaive below). Check back tomorrow for my notes on Domaine Morey’s. In addition, visit www.WilsonDanielsFilms.com and click on "Domaine Leflaive" for a beautiful 5-minute video on the Domaine. The Meursault Premier Cru “Sous le Dos d’Ane” is a textbook example of how to utilize oak to bring out the best in a wine without overwhelming it. This is a creamy, savory white that arrives on in a cloud of warm vanilla, lemon cream, and meringue flavors that ultimately resolve into something nutty and haunting. The laser-beam nose of the Puligny-Montrachet Premier Cru “Clavoillon” reminds me of wintertime with its warm-nut aromatics. The wine’s youth is more apparent on the palate as the oak still needs a bit of time to integrate, but all the balance and power are there for a long, beautiful life ahead. Also from Puligny-Montrachet, the Premier Cru “Les Pucelles” is both more linear and more transparent in style, the nose dominated at this stage in its life by flowers and minerals, the palate by almonds and pitch-perfect acidity. You should decant this wine if you insist on opening it now, but the smarter play would be to hold onto it for 8+ years: The liveliness of this bottling is nothing short of breathtaking, and though holding off will be difficult, it will most certainly be rewarded. Great post on Anne-Claude! She's a big part of chapter one in my book. Also love your recent post about champagne and potato chips! If you like it, you're welcome to post a copy on your site. Look forward to hearing from you.